Replacement 250W BBA type photoflood lamp as originally supplied as the modeling lamp with Ultra series flash units. 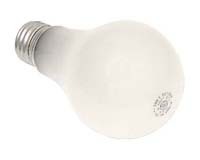 BBA lamps are rated at 250W, 7000 Lumens, and a 5 hour life. Please refer to the Operating Instructions for modeling lamp recommendations for lighting ratios, and precautions regarding overheating.